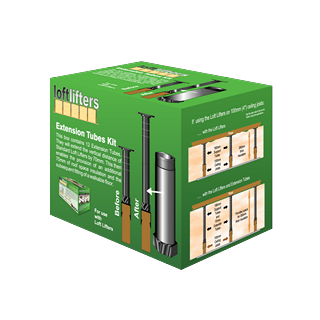 Loft Lifters are designed to allow you to insulate your attic or loft, save on your energy bills but maintain the storage space within your attic. 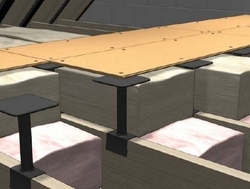 By screwing these Strong Reinforced Polypropylene elevators into the joists of your attic it will enable the addition of at least 180mm (7″) of roof space insulation and the subsequent fitting of a walkable floor. 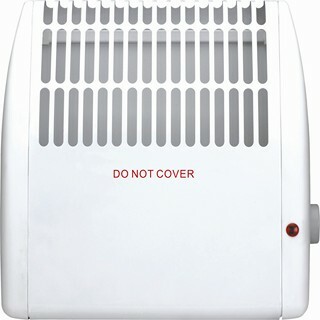 The loft lifters are perfectly stable and adjustable and it is a simple DIY installation process. 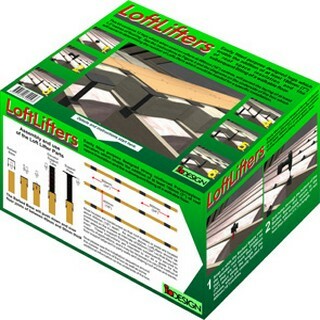 The loft lifters come in boxes of 12 pegs which is suitable to cover 1.2 square meters. 1: Position Loft Lifters at 600mm (24") intervals on the trusses (joists). 4: Secure in the elevated support tubes on the barbed bases by screwing them down firmly onto the threaded upstand. NOTE depending on the roof space layout and design, it may be necessary to use battening or other supports against party walls or close to the eaves. NOTE To ensure a secure and safe walking/storage surface, make sure that any corners of the flooring materials meet in the centres of the LoftLifters Support Plates. These instructions are intended to act as a guide for the majority of applications, and it may be necessary to vary the method of floor support adjacent to party walls and sloping roof areas and eaves.